Description: Walnut is a prized cabinetmaking wood. It is the most popular wood gunstocks. 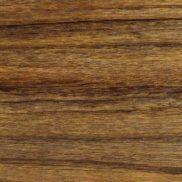 Walnut is noted for its beautiful grain, which is slightly open and straight grained. It can also exhibit wave or curly figure. As it gets older it mellows to a chocolaty-brown. Walnut is hard and tough which gives it moderate crushing and bending strength, as well as medium stiffness. The heartwood is highly durable and resistant to decay. Walnut produces a large variety of figure types. Color: The heartwood is light brown, dark chocolate, or black. 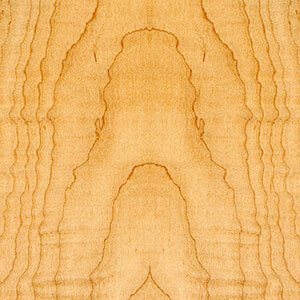 The sapwood is white and yellow-brown. Walnut Facts: The walnut tree typically grows to be about 70 to 90 feet (21 to 27 meters) in height. It requires full sun to grow well. The trunk diameter is usually about 2 to 4 feet (0.6 to 1.2 meters). Often other plants cannot grow underneath walnut trees because the roots, fallen leaves, and husks contain juglone. Juglone is a naturally occurring chemical in Walnut that acts as a natural herbicide. Walnut trees can live for more than 200 years.